Every once in a while I try out a tutorial in Photoshop that doesn’t turn out anything like it is supposed to. Normally those attempts are really horrendous. I’ve been trying one such tutorial out and while I didn’t get the results I was expecting, I did end up with something kind of cool. When I was a kid, one of my favorite art projects was where you colored with several colors of crayons on a page, then covered all of the color with black crayon. At that point we always grabbed a coin and scraped pictures into the black, revealing the colors behind. Anyone else ever done that? Anyway, when I realized the graphic I was trying to make wasn’t going to turn out, I inverted the colors and ended up with something that reminded me of those crayon drawings of my youth. I should note, that I was trying to make a graphic for Tolkien Day. After all, we’ve got to give props to the man who gave us The Hobbit, The Lord of the Rings and The Silmarillion. If J.R.R Tolkien were alive today he’d be 121. So…Happy Tolkien Day! I’m also slightly embarrassed to admit this, but I’m a fangirl of Richard Armitage. This would be clear to anyone who looked at the first few entries in my Netflix instant queue–Spooks, North & South, Robin Hood, George Gently. Then there are the audiobooks on my IPod. Almost daily I find myself lurking at blogs devoted to the man (I think I may have just delurked). Now I know if you’re an American you are probably thinking, “Who in their right mind is a fan of Richard Armitage!” I’m not talking about the US politician, but the incredibly talented and incredibly attractive British actor. So, he’ll probably be mentioned fairly frequently, because his work makes me happy. I think there is plenty of evidence that I’ve embraced my fangirling ways in this last year. No more embarrassment for me…at least not in Cyberland. Blogging was just the tip of the iceberg as far as delurking, it turned out. Soon after I started commenting on other blogs, then came Facebook and Twitter accounts to better connect with other fans. Joined with others in celebrating Armitage Day! Openly admitted to how much I lust after Mr. A.
Contemplated the thoughts of an inanimate object. Confused other fans by making a fake magazine interview. Finally, what’s a blogiversary for a blog that discusses RA without an image of the man himself? When I was in college there was this one professor in the religion department who had a uniform. The man wore khaki slacks, a light blue button down shirt, brown loafers and a jacket every day. The only variation was his ties, those were different every day and were always sporting some kind of funky design. This professor also took a walk at the same time each day around the campus, followed by a nap in his office. One year, the head of the department got the wild idea to have “Be Dr. Rut Day.” That first year the department head and around 20 students showed up for classes dresses as Dr. Rut. Not only that, they accompanied him on his walk and even took a nap in his office and the hallway outside his office. It became something of a tradition that religion students got a tremendous kick out of and Dr. Rut was a great sport about the whole things. I was reminded of this today, when I was scrolling through the feed on my RL Facebook account.Have you heard of Freddie for a Day? Here is a link to the website, but I’ll give a brief summary. People dress up as Freddie Mercury on his birthday–September 5th–or the Friday before if his birthday falls on a weekend. Individuals spend the entire day dressed as Freddy, even going to their jobs. Unlike with the professor story, this isn’t just about fun. 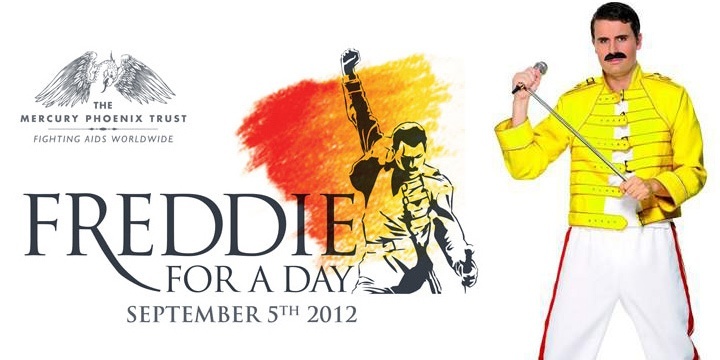 Freddie for a Day is a fundraiser to support the Mercury Phoenix Trust, helping AIDS charities all over the world. There is even a page on the website to aid in making your costume! 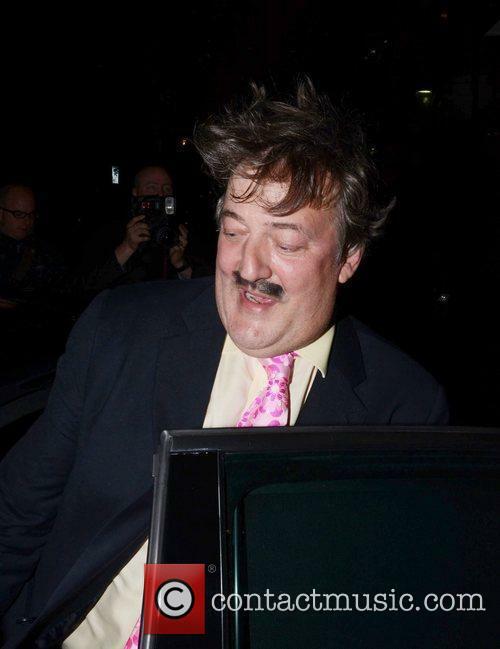 Look, even Stephen Fry got in on the action last year! The whole concept is incredibly fun and inspiring to me. When I think about the millions of AIDS orphans and people the world over who simply aren’t educated about the disease, every little bit that people can do to help seems like a big deal. I don’t have time this year to be Freddie, but next year…I’m totally in! But now for an Armitage tie in: How fun would it be for Richard Armitage fans to do something like this? Obviously it would be on a smaller scale–Freddie is to this day a world wide icon. But fans of RA could dress up as his various chaRActers on his birthday to raise funds for the Just Giving Charities. Imagine showing up to work as Thorin. Just a thought….